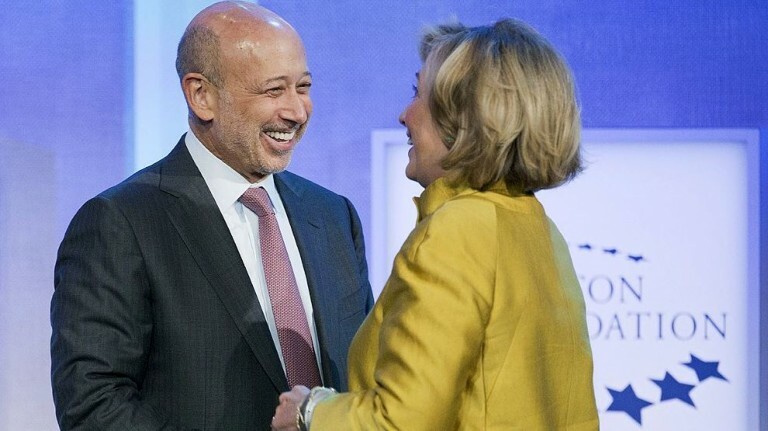 "The bankers will be backing Hillary with unlimited money. If Trump becomes the nominee, you will see a major effort to put Hillary in the White House. If the bankers do not own the White House, they will be at serious risk between 2017-2020. Right now, they have been hit with big fines for clipping people in just about every market from metals to currencies. There is no possible way Hillary will release the transcripts of those speeches because they would reveal how much she is in their corner. Hillary’s response is simply that she does not believe the people are interested in those transcripts .. She is the most secretive person in Washington circles in many many years." [Küle Commentary: The banks will get what they want. They can create as much money from nothing as they deem necessary to get whatever it is they want .. while making everyone else think they live in a free country. Bill & Hillary understand how it works & 'sold their souls' to get to the Presidency. Clinton (Bill) repaid the banks for putting him in power by repealing the Glass-Steagall Act (you know, the 1933 Act that protected Americans for 65 years from the devastation of Depression & provided a degree of protection from being overly abused by the banks .. the Act that should have been re-instated as a condition for the 'bail out'). The right to vote gives the illusion that makes people feel like they live in a free country. Bassman says that the Fed should "emulate a past success by making a public offer to purchase a significantly large quantity of gold bullion at a substantially greater price than today’s free-market level, perhaps $5,000 an ounce? It would be operationally simple as holders could transact directly at regional Federal offices or via authorized precious metal assayers."